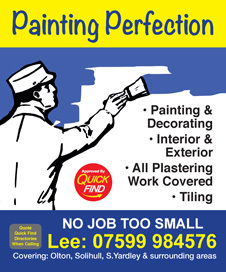 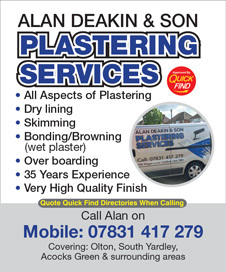 Approved and recommended by Quick Find Directories, Painting Perfection are a local trusted trader in Olton, Solihull, Elmdon Heath Birmingham and surrounding areas. 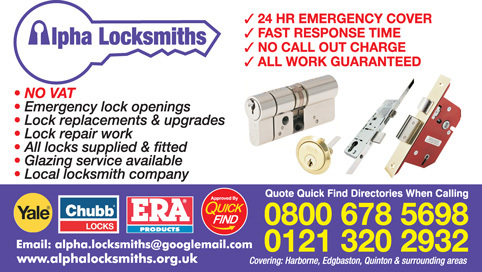 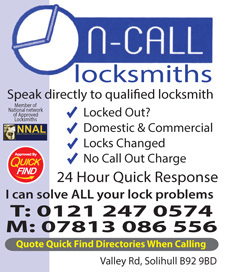 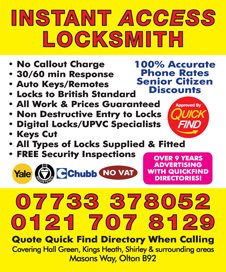 Approved and recommended by Quick Find Directories, On Call Locksmiths are a local trusted locksmith in Solihull, Shirley, Olton, Birmingham and surrounding areas. 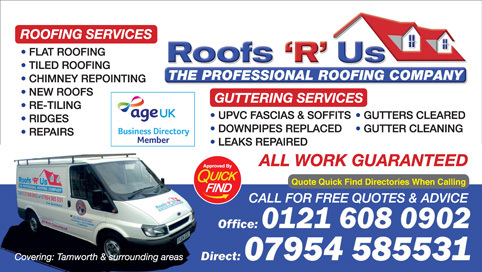 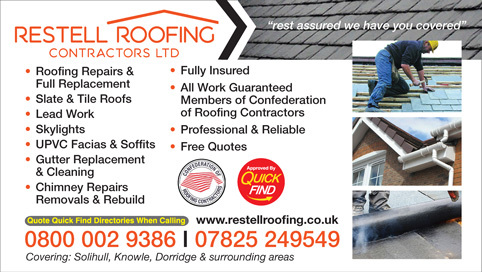 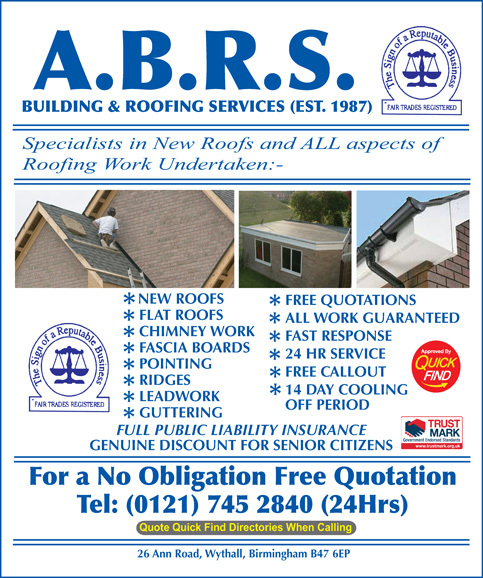 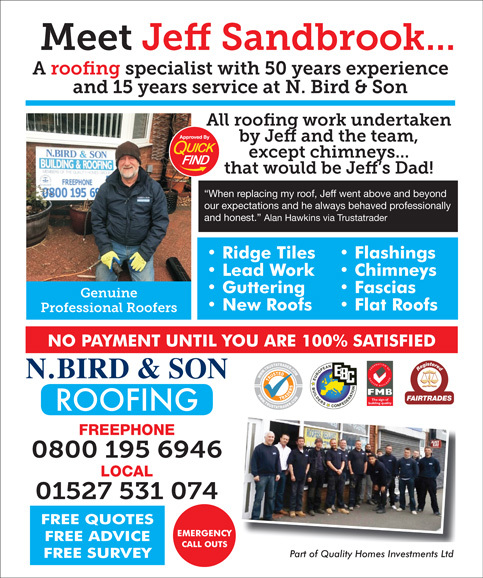 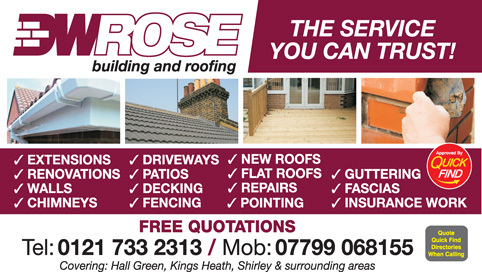 Restell Roofing Contractors Ltd are a Quick Find Directories approved roofing business in Solihull, covering Monkspath, Hockley Heath, Hampton In Arden, Olton and all areas surrounding Solihull. 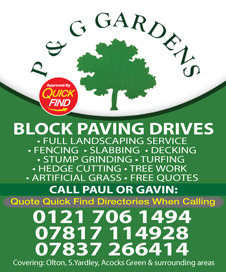 Approved and recommended by Quick Find Directories, The Grange Members Club Function Room Hire are a local trusted trader in Rubery, Quinton, Halesowen, Birmingham and surrounding areas. 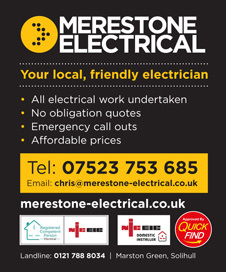 Merestone Electrical are a Quick find Directories checked and vetted, Trust Mark approved, NICEIC registered local electrician in Castle Bromwich, Olton, Solihull and surrounding areas. 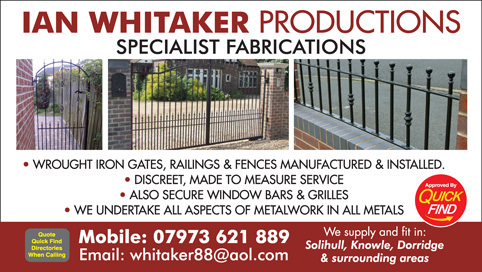 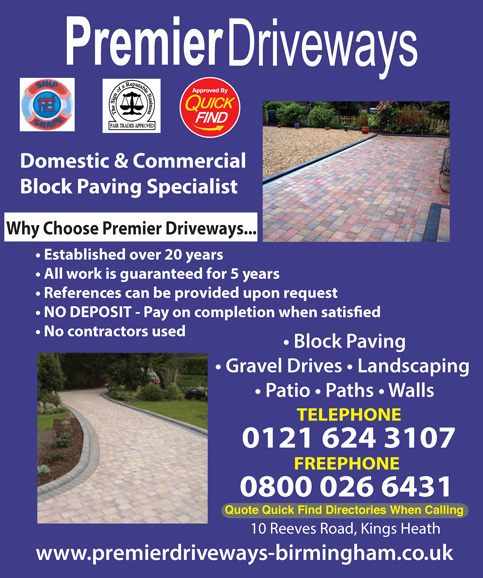 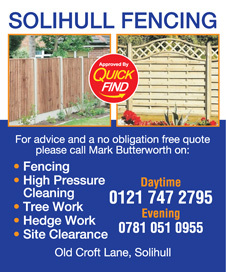 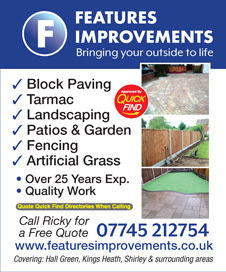 Approved and recommended by Quick Find Directories, Solihull Fencing provide an array of services. 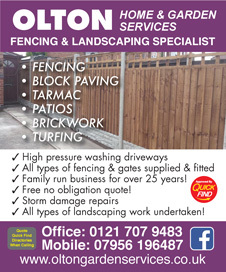 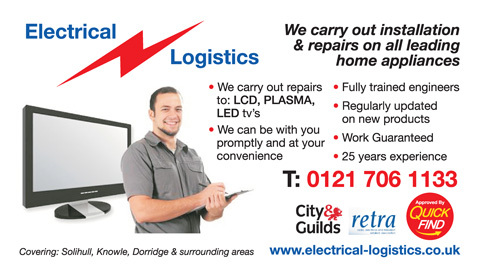 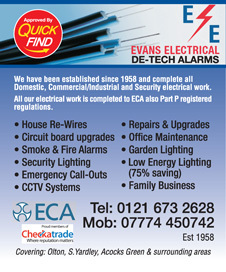 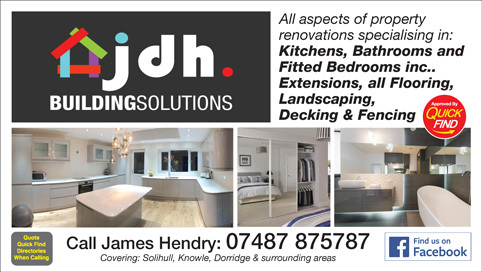 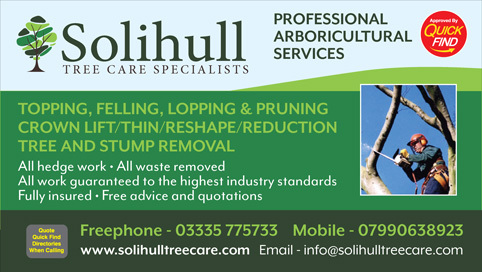 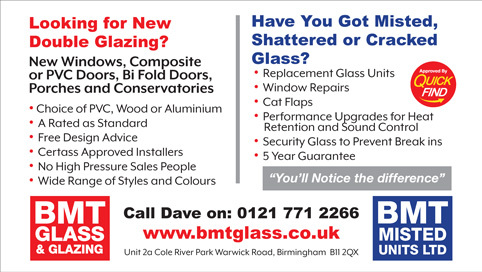 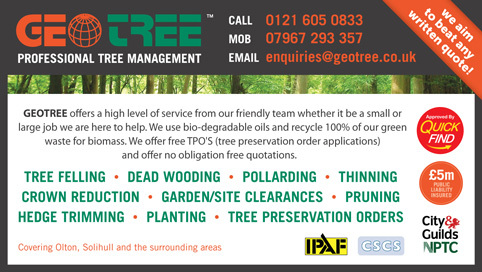 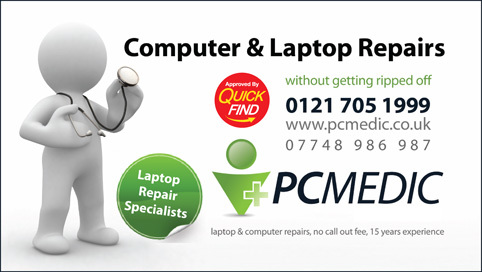 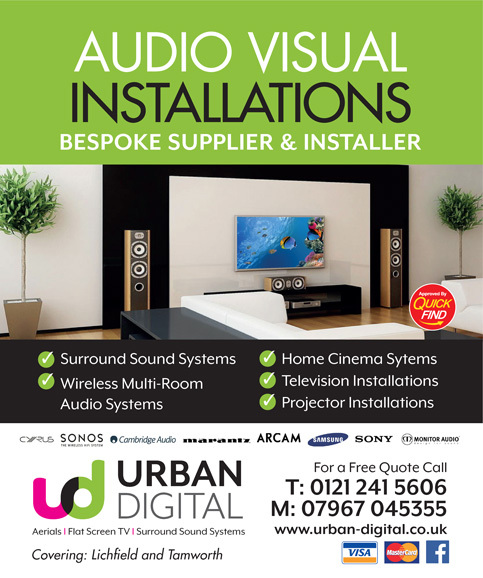 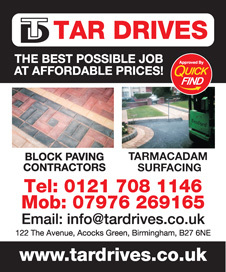 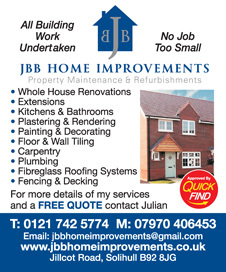 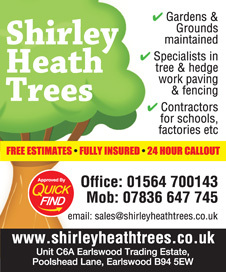 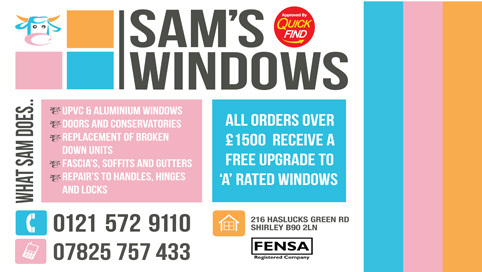 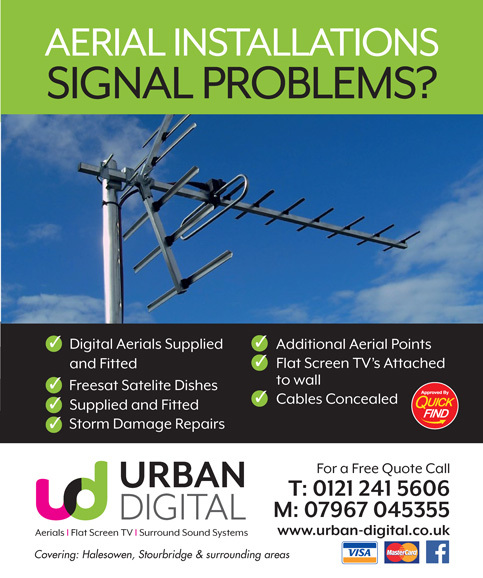 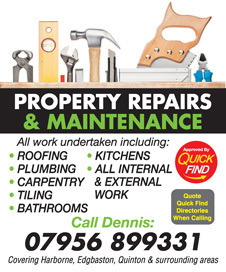 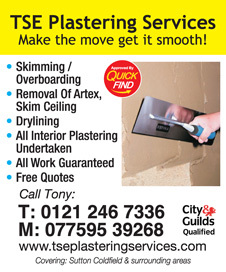 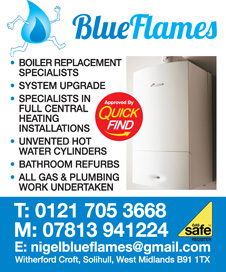 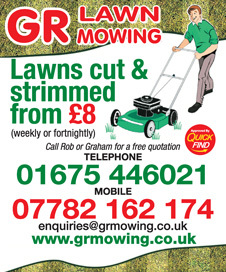 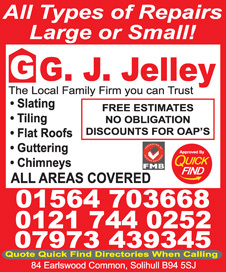 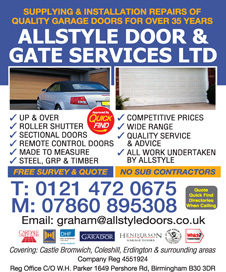 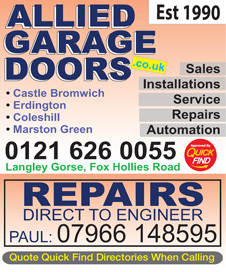 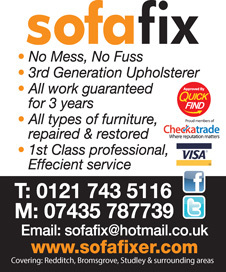 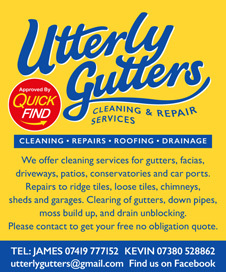 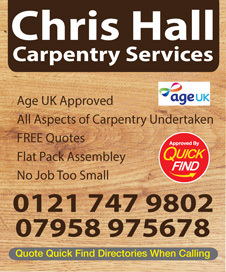 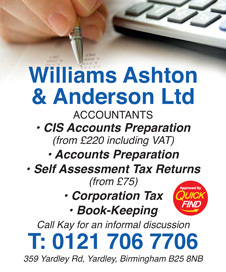 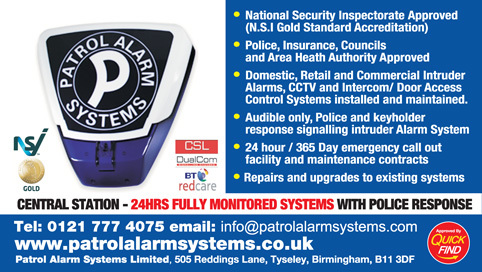 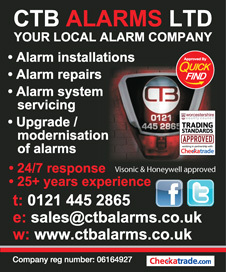 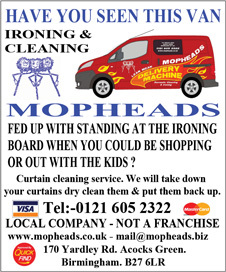 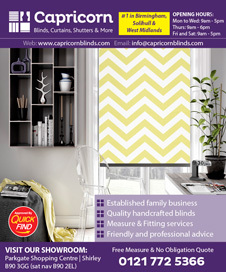 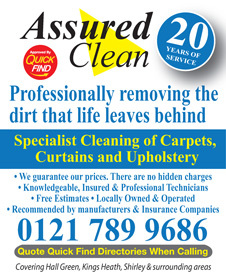 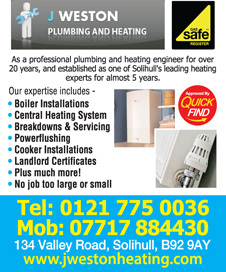 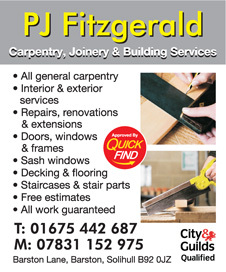 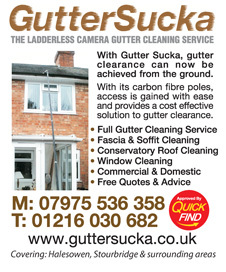 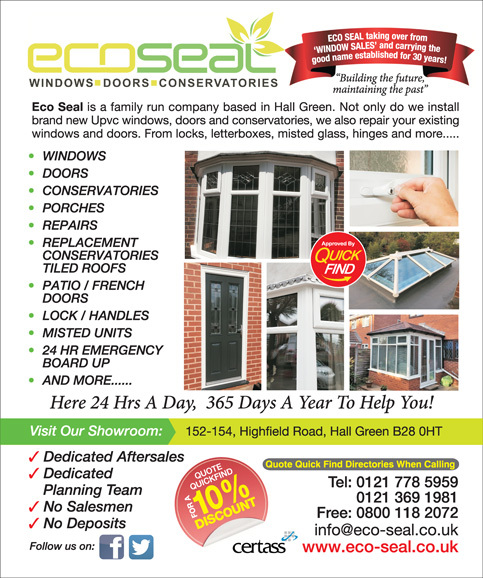 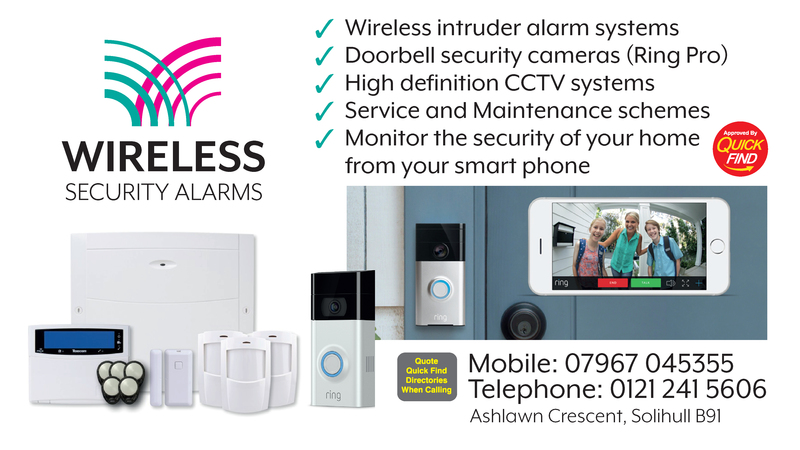 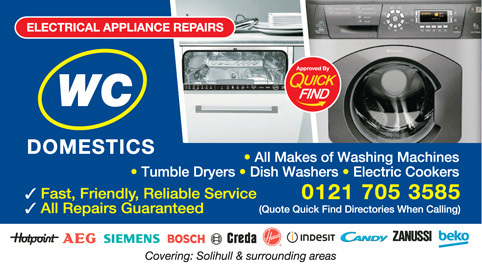 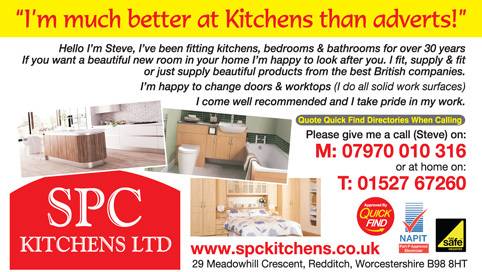 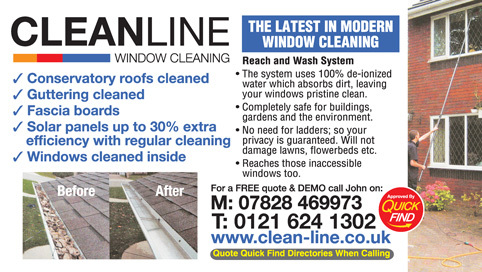 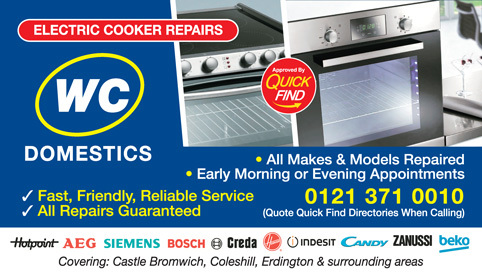 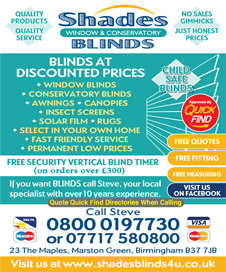 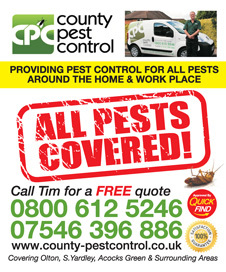 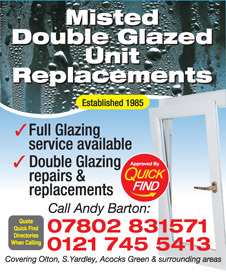 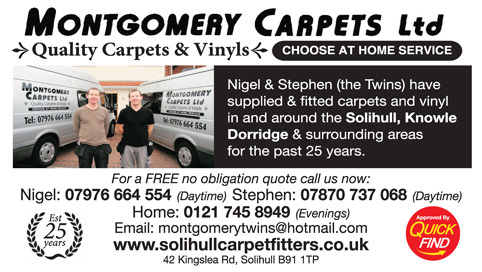 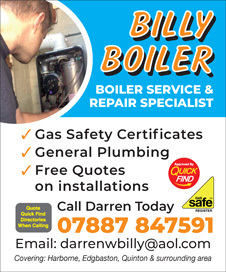 A local trusted trader in Olton, Hall Green, Birmingham and surrounding areas. 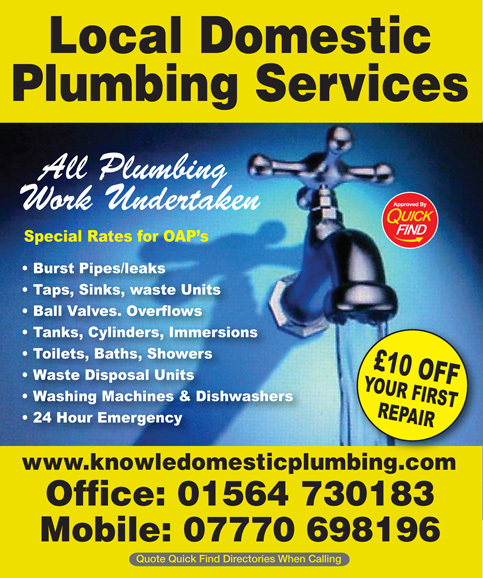 Approved and recommended by Quick Find Directories, local Domestic Plumbing Services are a local trusted trader in Olton, Shirley, Solihull, Birmingham and surrounding areas. 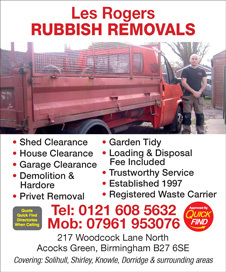 Approved and recommended by Quick Find Directories, Les Rogers Rubbish Removal are a local trusted trader in Olton, Shirley, Solihull and surrounding areas. 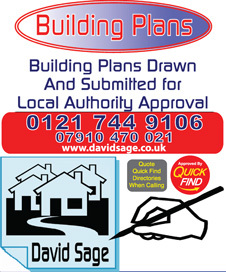 Approved and recommended by Quick Find Directories, Geothermal Heating Solutions are a local trusted trader in Redditch, Bromsgrove, Studley, Olton, Castle Bromwich and surrounding areas. 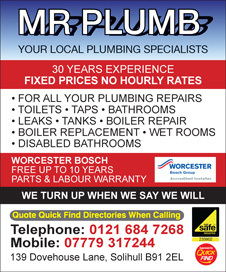 Approved and recommended by Quick Find Directories, Mr Plumb are a local trusted plumber in Olton, Shirley, Solihull, Birmingham and surrounding areas. 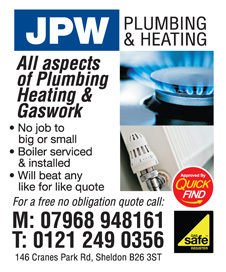 Approved and recommended by Quick Find Directories, JPW Plumbing and Heating are a local trusted trader in Olton, Solihull, Birmingham and surrounding areas. 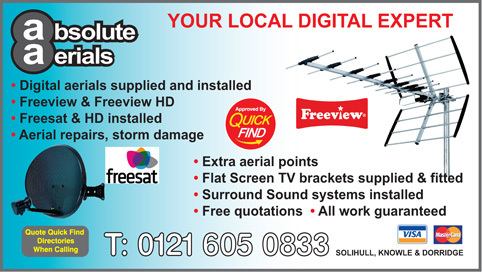 The Doghouse based in Acocks Green, Birmingham are a Quick Find approved and vetted local business providing dog grooming and other pet services in and around the Olton and Solihull areas. 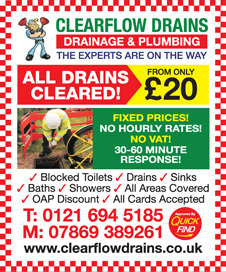 CW Plumbing are a Quick Find directories vetted and approved local business providing all aspects of plumbing in Olton, Sheldon, Elmdon Heath, Acocks Green and surrounding areas.